Barley Flakes is a new 100% natural barley product that does not make a mess in your pond as it degrades. 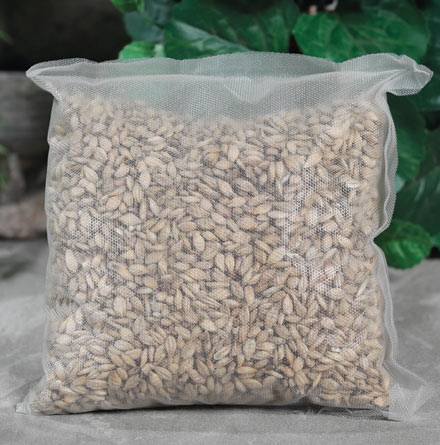 Barley flakes are enclosed in a micro mesh bag that can be placed in the pond, waterfall or skimmer. Faster acting than barley straw and lasts up to 3 months. Available in three sizes: 6 oz. for up to 1000 gallons, 12 oz. for up to 2000 gallons, and 24 oz. for up to 5000 gallons.